All needles should be treated as if they carry disease. They can injure people, spread germs, damage recycling equipment, and require people to be tested for years for HIV and Hepatitis if they are accidentally stuck. Effective September 1, 2008, State law makes it illegal to dispose of sharps in the trash or recycling bin. Currently there are three ways that residents can legally dispose of sharps. Republic Services, formerly known as Chino Hills Disposal provides a Mail-back Program, and the County of San Bernardino offers an Annual Household Hazardous Waste Roundup, and year-long disposal is available at two locations: Ontario Household Hazardous Waste Facility and at the San Bernardino International Airport. (See Below for addresses and operating hours. Republic Services provides residents with a safe and convenient way to dispose of approved medical sharps waste through a Sharps Mail-back program. 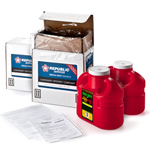 After customers place their container orders from the www.republicsharps.com website, their order is shipped in 1-2 business days complete with all of the necessary return shipping, packaging, and labeling. Pricing is all inclusive, so there is no need to pay additional tax or shipping costs to receive or to return their containers. Annual Household Hazardous Waste Roundup. This yearly event is usually held during the month of April or May. Ontario Household Hazardous Waste Facility, 1430 S. Cucamonga Avenue, on any Friday or Saturday from 9:00 am to 2:00 pm. San Bernardino International Airport, 2824 East "W" Street, Monday through Friday from 9:00 am to 4:00 pm. Download the "Guide to Syringe Disposal" in either English or Spanish. Download the Sharps Flyer provided by the Chino Valley Fire District. 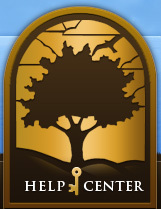 To locate a sharps and medications disposal facility visit the CalRecycle website. For updated information on the proper disposal of sharps, call 1 (800) 645-9228.